"Design a Brilliant Social Intranet on Sharepoint"
Implementation of social intranet on Sharepoint 2013 platform which is considered as the best of breed in intranet platforms, adding engaging social collaboration features requires proper planning, design and smart customizations. SharePoint intranet has forged a strong foothold on the open source intranet market and provides powerful intranet solutions for more than a decade. 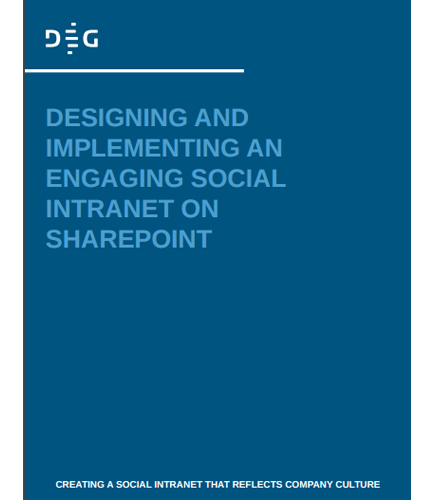 This whitepaper brings you the Sharepoint Intranet implementation challenges, strategies and tactics leveraged during the design and implementation of this new intranet platform. While the SharePoint 2013 platform is considered the best of breed in intranet platforms, adding engaging social collaboration features requires proper planning, design and smart customizations.